Being one of the most beautiful places in India, Kerala is dotted with innumerable natural marvels. Rightly entitled, God's Own Country, Kerala never fails to surprise its visitors with its delightful backwaters dazzling amid a blissful environment. Ashtamudi Lake is one such unbelievable beauty of Kerala which has been attracting thousands of tourists since ages. The major speciality of this glamorous lake lies in its speechless and convincing charm which enhances bit by bit throughout the year. How about knowing more about Ashtamudi Lake to plan a trip to this God's Own Backwater in Kerala? Prospering peacefully in the Kollam district of Kerala is Ashtamudi Lake, one of the most visited backwaters in India; it is the final destination of Kallada river. It is one of the richest lakes in South India in terms of the population regarding flora and aquafauna with hundreds of species thriving under its waters. 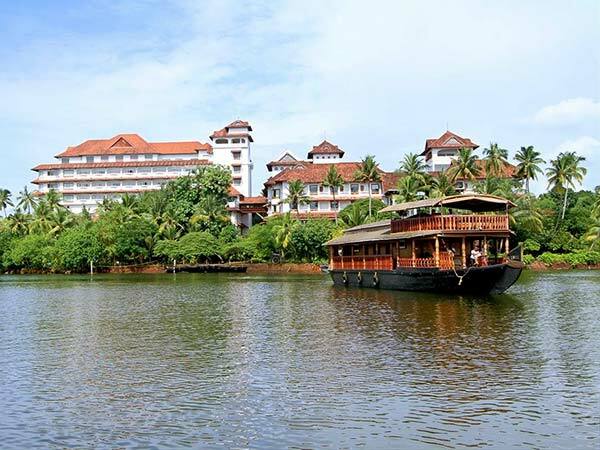 Today, Ashtamudi Lake is more of a commercial centre as it has been witnessing innumerable tourists every year on account of its exotic beauty spread all across the town. The history of this lake is unknown, however, its discussion is found in the texts of Ibn Battuta. The name Ashtamudi is derived from its structure in the form of eight diverging branches. Once you are in the vicinity of Ashtamudi Lake, its wonderful aura can be easily felt. You will definitely be surprised by its vast stretch with numerous houseboats chilling on its surface and the several birds producing melody all around, eventually getting you lost in the ecstasy of nature. Following are several things that can be done in and around Ashtamudi Lake. The journey of travellers in Kerala is always incomplete unless they have experienced the thrill of riding houseboat and roamed on the surface of the backwaters. Ashtamudi Lake is popular amongst tourists for its houseboat and lake resorts. How can you miss the opportunity of being elevated with the lifetime experience of moving on the tranquil surface of Ashtamudi Lake? Fishing is another activity which can be done in the rich waters of Ashtamudi Lake. Looking to just sit alongside the hush of the lake and catch a fish? Well, visit Ashtamudi Lake and find yourself lost in its speechless beauty. Who would not want to take home few perennial memories from God's Own Country? Glittering backwaters under the shade of the picturesque sky will definitely leave you awestruck. Capture all such moments and sceneries in your camera so that you can relish and feel them forever. Ashtamudi Lake, located in the Kollam district of Kerala, experiences a tropical climate with heavy rainfall during the monsoon season. Therefore, it is advisable to avoid visiting Ashtamudi Lake during this time. If you are looking forward to enjoying the best of Ashtamudi backwaters, then the best time to visit this wondrous beauty is from November until the end of March when climatic conditions are cool and pleasant. By Air: You can take a flight to Trivandrum airport and then from there take a bus or hire a cab to Kollam. Trivandrum airport is situated at an approximate distance of 60 km from Kollam. By Rail: Kollam has a good rail connectivity to the nearby major cities and towns. You can catch a train directly to Kollam railway station. By Road: Ashtamudi Lake is well connected to every city and town and hence, is easily accessible by road.